About 3 months ago I discovered that I was deeply ignorant concerning a segment of the human population, the ones with whom I walk this Earth. This is but one of the many books I have been reading. Somewhere along the way as a child I learned to fear and judge that which I did not understand or that which is different than I or those close to me. As a middle aged adult I have finally unlearned that lesson and now seek to understand and learn about that which I do not understand. Understand and learn from the Heart and not the brain. Not to say that knowledge of the brain is not useful. This knowledge has served me well so that I may serve others. Yet, there is also “knowledge” gained by way of lessons and observations in childhood that have served to my True Self’s detriment. I am not always able to take the time to “educate” myself about people or situations that I do not understand or that I fear. Yet, there are times that the urge is so incredibly compelling that I must “educate” myself from the Heart. This was one of those times. 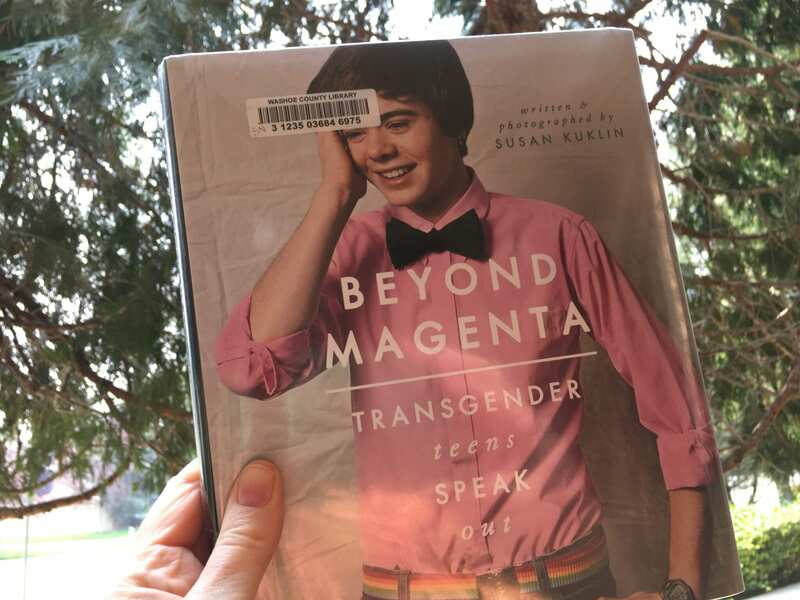 This entry was posted in Book Reviews and tagged beyond magenta book, book about transgender, book lover, eduating myself by Camilla. Bookmark the permalink.